Maguire nearly got the 2017/18 campaign off to a perfect start when he made the final of the Riga Masters. However, he lost out to Welshman Ryan Day. The Scot reached two further semi-finals at the UK Championship and the World Grand Prix, losing to Ronnie O’Sullivan on both occasions. Maguire came on strongly at the tail end of the 2016/17 season. The five-time ranking winner had an up and down campaign up until the penultimate event of the season in Beijing. He went on a run to the last eight of the China Open before coming through World Championship qualifying at Ponds Forge with relative ease. He then won two matches at the Crucible before bowing out at the quarter-final stage against Barry Hawkins. The Scot’s best run of the 2015/16 season saw him reach the semi-finals of the 2016 China Open. He won five matches to reach the last four where he lost out to Judd Trump. It was a result that helped Maguire qualify for the World Championship, forcing home favourite Ding Junhui out of the top 16 in the last event before the Crucible. He exited the 2016 World Championship at the first hurdle in Sheffield. Losing to compatriot Alan McManus 10-7. Maguire won two events in 2014/15. The first came at the Six Reds World Championship, where he beat Ricky Walden 8-7 in the final. He also saw off Matthew Selt 4-2 to claim the Lisbon Open title. He reached the semi-finals of the UK Championship and German Masters, but was unable to add to his tally of five ranking titles. Maguire’s most recent ranking title came at the 2013 Welsh Open. 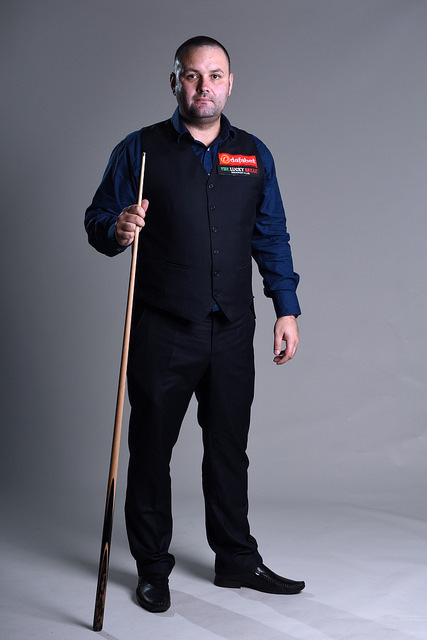 He beat Stuart Bingham 9-8 in an exciting final to take the top prize in Newport. During the 2007/08 season, Maguire was the only player other than Ronnie O’Sullivan to win two ranking titles. He claimed the Northern Ireland trophy with a 9-5 win over Fergal O’Brien to win his first ranking title in three years. Maguire went on to win the China Open in Beijing, edging out Ryan Day 6-5 in the semi-finals having made a 147 break earlier in the match. He went on to secure the title with a 10-9 win in a thrilling final with Shaun Murphy. Maguire made his breakthrough in 2004. First by hammering Jimmy White 9-3 in the final of the European Open to win his maiden major title. Then securing the highlight of his career so far with victory in the UK Championship, beating David Gray 10-1 in the final.